Chuck Kegler has been honored with the Society of Financial Service Professionals’ (FSP) Sam A. Chickerella CLU Hall of Fame Award. He was selected based on his outstanding service to the financial industry, the community and to Kegler Brown’s clients. Chuck’s outstanding commitment to high ethical standards and integrity made him the ideal candidate for this award. For more than four decades, Chuck has been advising private companies and their owners regarding estate and succession planning. As chair of the tax area, Chuck has extensive experience with advising clients regarding corporate and business planning, including implementing transactions with tax planning implications relating to C corporations, S corporations, limited liability companies and limited partnerships. Chuck has been practicing law for more than 45 years and began his career with Kegler Brown. He has been recognized as an Ohio Super Lawyer® by Law & Politics magazine since 2004. 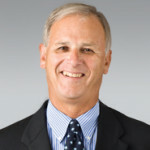 Chuck was also an honoree in the Central Ohio Business Hall of Fame in 2012, recognized in The Best Lawyers in America® and has a Martindale-Hubbell Rating of AV, which indicates very high to preeminent legal ability and very high ethical standards as established by confidential opinions from members of the bar.